Most of the recent issues in relation to importation of aircraft have now been sorted out. We have recently assisted several aircraft owners and operators with their EU importation issues and would like to mention the points below as an update on Temporary Admission, importation, VAT, Customs duty etc. The new EU customs code; the Union Customs Code, became effective May 1st 2016. The customs code is the foundation for all customs work in the EU and all EU member states will have to alter their local customs laws and align them with the new customs code. The term “Temporary importation” has changed name to “Temporary Admission” from May 1st 2016. The supporting document for an oral customs declaration has been changed a bit and the old supporting document is no longer valid for entries. Remember that the Isle of Man and the Channel Islands are part of the EU customs area and for that reason aircraft registered in the EU. Aircraft registered in EU are not eligible for Temporary Admission and thus not allowed to be flying in the EU customs area – not even a single entry in and out of the EU without a full importation. Thus all aircraft using an aircraft registration within the EU customs area must be fully imported at the first port of call in the EU if not already imported. OPMAS has for many years been the prime source for the aviation industry for matters surrounding the use of Temporary Admission and have published yearly updates about its use. We are of course ready to you assist using Temporary Admission in a safe way on the internal flights in order to secure the flexibility and avoid all the known uncertainties. The Council Directive on the common system of value added tax is the foundation for the VAT handling in all EU member states. Lessees possibility to reclaim VAT calculated upon importation has been questioned implying that some EU-member states decline EU domiciled lessees access to deduct import VAT arguing that the lessees has not incurred the costs of acquisition and does not in fact own the imported aircraft. The risk of being denied access to reclaim VAT should be taken into consideration when using circular leasing agreements. Furthermore, it should be noted that circular leasing agreements that does not in fact change owner has been banned in most EU member states including Denmark since the 2006 judgement from the European Court of Justice in the Halifax case. From now on only the real aircraft owner will be able to reclaim any VAT calculated during the importation. We are of course not happy with the limited possibility for aircraft lessees to reclaim VAT but that is the way things have turned out. Anyway our advice has always been to ask the local Tax authorities for a binding assessment ruling before the importation in order to secure all positions as all cases are different in the details. The above point is only relevant in connection with full importation without obtaining a binding assessment ruling. Since our Spring newsletter 2016 we have had the possibility to dig deeper into this subject and our “new interpretation” in the newsletter has been confirmed. The conclusion is highlighted here. The importer (applicant/declarant) if established in EU must have a factual or legal right to dispose of the aircraft. This requirement does in our assessment not have a direct legal basis under the provision of the EC customs regulation nor the nomenclature. Going forward the consequence is that a representative established in the EU like for example a fiscal representative cannot import an aircraft disposed by a non-EU established owner or operator and legally obtain an end-use exemption for the customs duty. The importer must be established in EU in order to benefit from the end-use regime. As per May 1st at which date the new Union Customs Code came into force, the definition of an established legal person was clarified ensuring that the term corresponded to the term used in the value added tax directive. As per May 1st 2016 a legal person is established in EU when having its registered office, central headquarters or a permanent business, where both the necessary human and technical resources are permanently present. Thus local representation cannot be organized by proxy. Our opinion is that the above is a very clear signal from the EU on how to handle these customs duty/end-use situations. We have realized that all not EU member states have aligned their procedures at present, but all member states will eventually have to do so. Our advice is always to ask the local Customs for an opinion before the importation in order to secure all positions as all cases are different in the details. Non-established owners or operators of an aircraft has at the time being no other sound option than to use the Temporary Admission regime available and live with the restrictions and challenges. Likewise, for established owners which are not holding the legal or factual right to dispose of the aircraft. The result was a bit surprising but it looks like there will be no change until at least 2019 at the earliest. The most likely scenario is probably no significant change at all. The UK and EU will need to do some kind of a trade agreement. A trade agreement with full access to the EU inner market is unlikely without Britain agreeing to free movement of people and probably continuing to pay tribute to the EU. But eventually they will have to leave and no doubt that we are looking at something very difficult and it is hard to foresee the final result. But how does the above effect aircraft importation? The United Kingdom, the Isle of Man and the Channel Islands will without any doubt be excluded from the EU customs area. The EU can by definition only include full member states to be a part of EU customs area, so even the best deal for the UK will not make them a part of this area. It means that full importation will no longer be possible, but these areas will then be eligible to use Temporary Admission. It is also foreseeable that all aircraft importations handled by these areas before the possible break date somehow will be accepted by other all EU member states. Anyway anyone’ guess is as good as most others, but remember that Prime Minister Theresa May have stated several times that the Brexit will happen but not how! 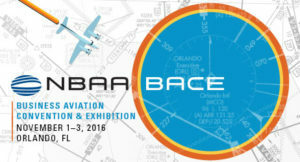 OPMAS will of course also be present at the 2016 NBAA Tax, Regulatory & Risk Management Conference on October 30 and 31 at the Orange County Convention Center in Orlando, FL and be available for meetings during both the tax conference and the convention. Hope to see you in Aarhus as our guests in the future.